Dr. Delmon E Ashcraft Jr, MD is a Doctor primarily located in Fort Oglethorpe, GA, with other offices in Chattanooga, TN and Cleveland, TN . He has 26 years of experience. His specialties include Obstetrics and Gynecology. He speaks English. Dr. Ashcraft has received 2 awards. The overall average patient rating of Dr. Delmon E Ashcraft Jr is Excellent. Dr. Delmon E Ashcraft Jr has been rated by 22 patients. From those 22 patients 6 of those left a comment along with their rating. The overall rating for Dr. Delmon E Ashcraft Jr is 4.5 of 5.0 stars. I have been with Dr. Ashcraft for many years and have found him to be an outstanding doctor. He listens to me and takes time to discuss issues of my concern. I would highly recommend Dr. Ashcraft to any female! Wonderful! Wonderful! Wonderful! I thought his bed side manner was great. He made sure I was in no pain and someone that listened to me. He was not bugged by my very hyper kids and very kind to them. i even sent my friend to him and she had a great experience to. Dr. Ashcraft is great with the obstetrician side. He's actually responsible, in part, with saving the life of my sweet daughter. However, in the gynecology department, he leaves much to be desired. Completely lost when it comes to womens' issues and feelings. He tries really hard but never seems to find his way. 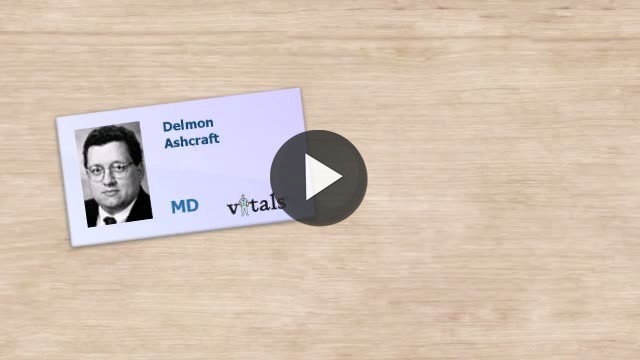 Take a minute to learn about Dr. Delmon E Ashcraft Jr, MD - Obstetrics and Gynecology in Fort Oglethorpe, GA, in this video. Dr. Delmon E Ashcraft Jr is similar to the following 4 Doctors near Fort Oglethorpe, GA.
Have you had a recent visit with Dr. Delmon E Ashcraft Jr? Select a star to let us know how it was.